Opening its doors on the 13th of August, this brand spanking new store is offering a unique concept to the people of Perth. 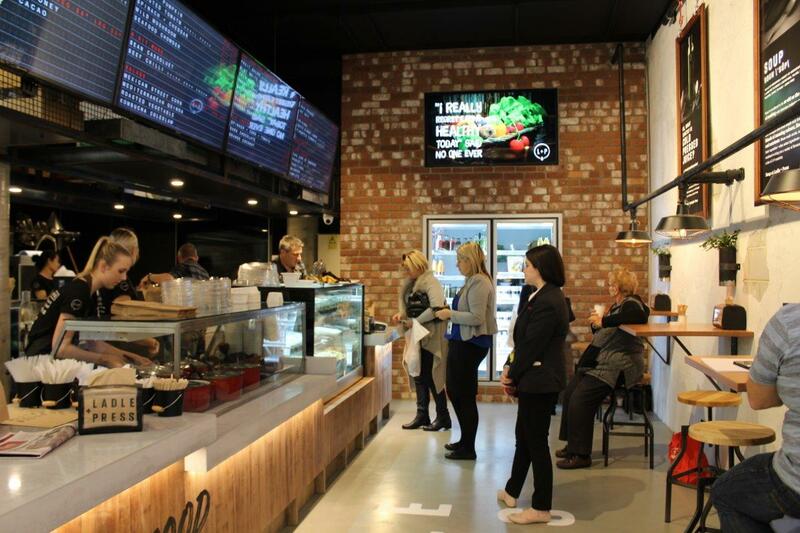 A soup and cold press juice bar, their main objective is to provide meals packed full of nutrition. 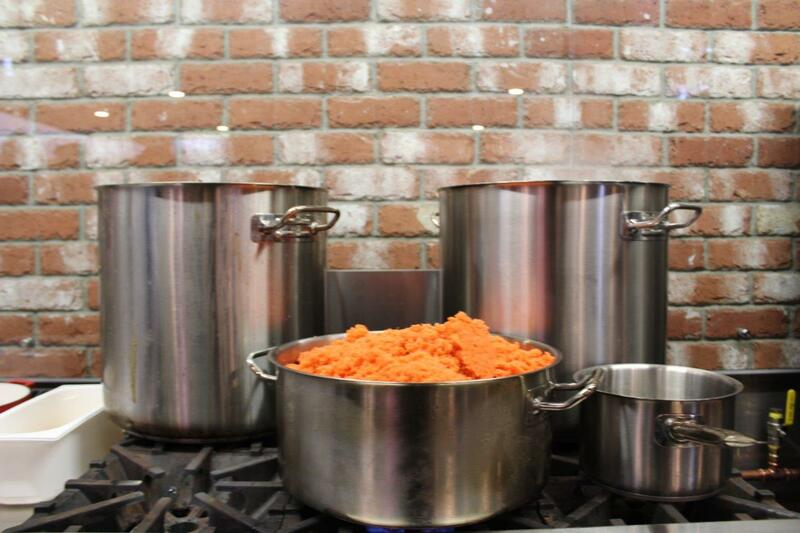 No tricks, hidden ingredients, emulsifiers or preservatives- just honest good food made fresh, from scratch. The industrial themed space is centred around the large open kitchen, complete with exposed brick and airport style departure/arrival boards displaying what’s on the menu for the day. 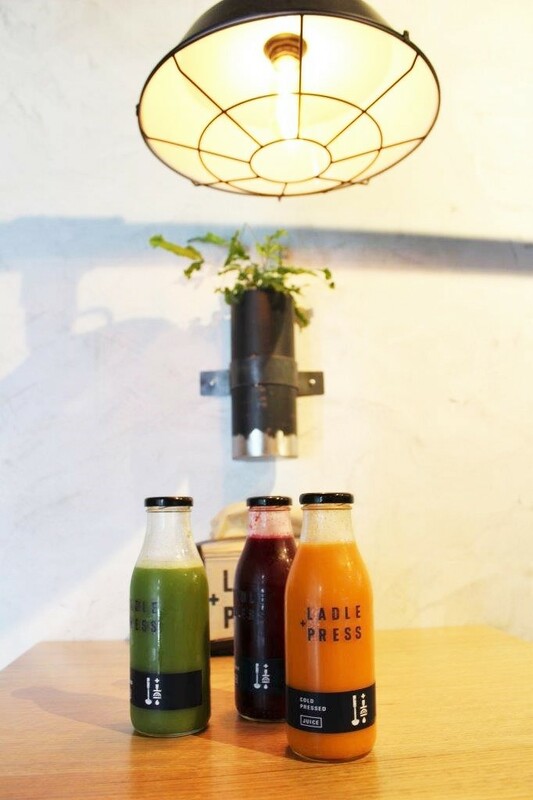 With large steaming pots simmering away and a colourful array of juices to choose from, Ladle and Press is both inviting and intriguing. Ladle and Press’ director Hopper says he is proud to present his venue, where everything is made on site, right in front of your eyes. 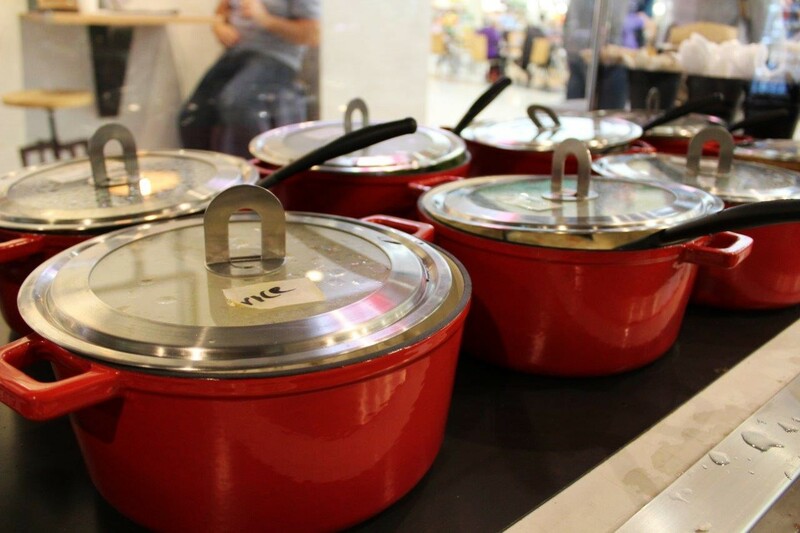 Each day you can choose from a range of soups - whether it’s a simple pumpkin or roast tomato, something a little more gourmet, like their seafood chowder, or if you’re after ‘a little bit more’ a hearty bean cassoulet with pork sausage or beef chilli. With the menu changing weekly, there is always something new on offer. Using their homemade vegetable stock as a base for many of their dishes, there are vegan, vegetarian, dairy free, and gluten free options on offer. 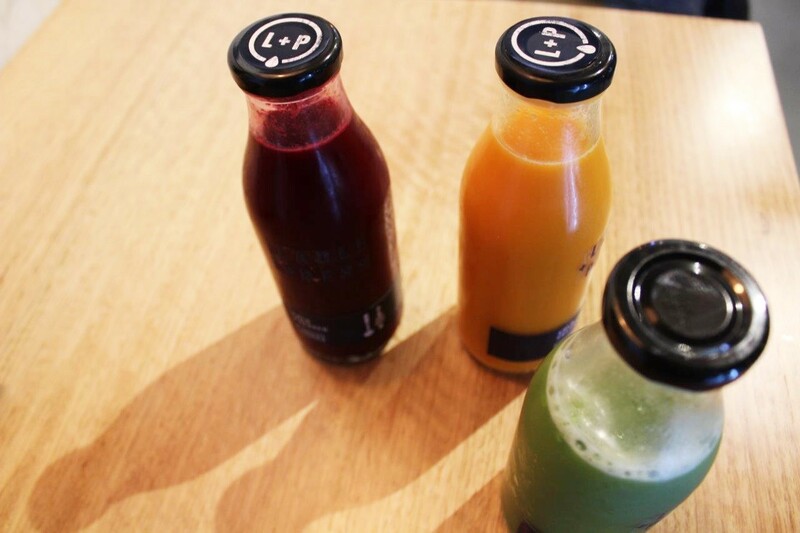 With a juice bar up the front, you can opt to take a bottle out the fridge to go, or have one fresh pressed for you while you wait- with no added syrups, sugars or water. They also produce their own kombucha, a fermented tea drink which has the beneficial equivalent of eating ten tubs of yogurt in one bottle. As well as being brewed in its ‘original’ form, L and P have also blended it with a range of their cold pressed flavours. Definitely worth a try! The idea for L and P grew from Hopper’s travels in Europe. Behind the wheel of a van, he made his way all over the continent, eventually settling in the Greek islands to work as a chef. After a stint there, he found himself in the outskirts of Prague in a caravan park. When venturing into the city for the first time, he was instructed to take a train as the quickest way there. When he arrived at the train station, it was derelict, and all except a soup kitchen was closed. With the local factory’s whistle having just blown, the industrial kitchen was full of workers in overalls chatting away in Czech, while several women were serving soups like goulash and osso bucco from 200 litre pots. Hopper says he stood in amazement as he took his place in the queue. At his turn, he received a large ladle of soup with a chunk of sourdough… and he couldn’t believe how good it was. This food experience stuck with him, and was the most memorable of his six years of travel. Arriving back in Perth he swapped his chef career for one in mining. He decided the lifestyle wasn’t for him, and reached a point where his dream was to work for himself and create something good for others. 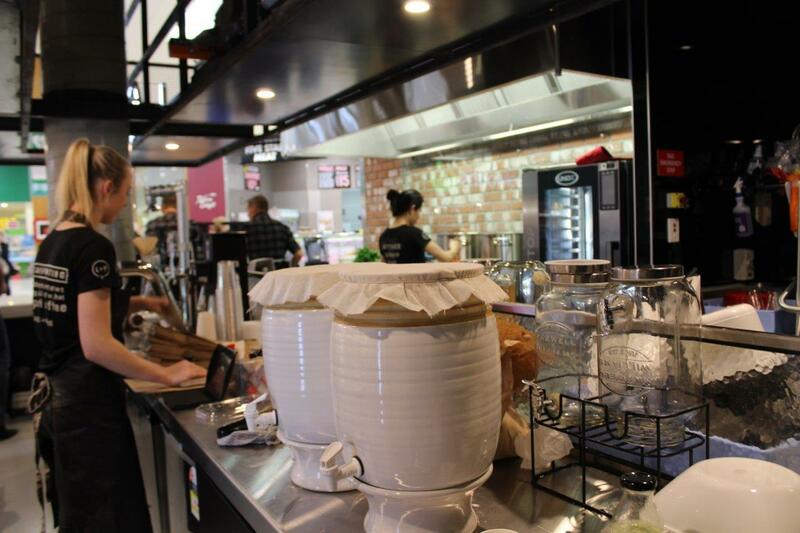 The idea for Ladle and Press was born, with his main two components being nutritious and delicious hot soups and cold press juices. Since then, they have also developed breakfast pots and tasty loaves- which are made up of 40% of the pulp left over from the juice. This means nothing is wasted! With choices like beetroot and chocolate, orange and coconut bread or savoury options like spinach, corn and tomato, there’s something for every mood you’re in. They also have plans to use the left over pulp for granola, nut bars and fruit leather for kids to enjoy. 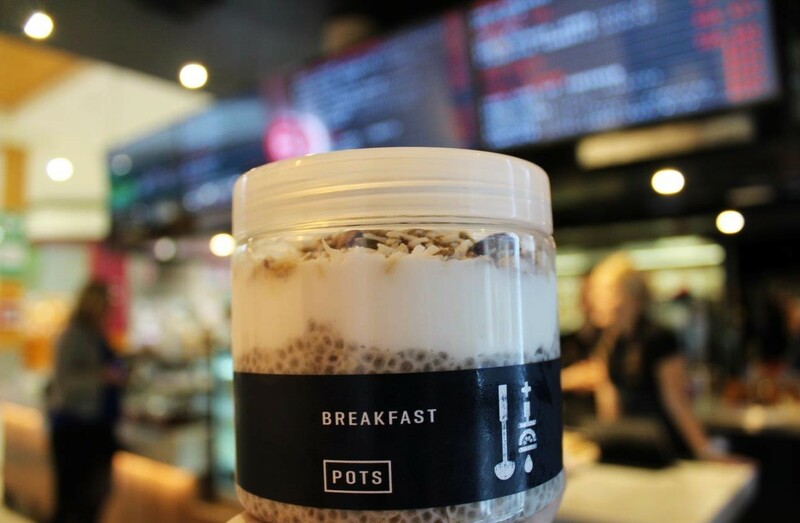 The breakfast pot options include minted white avocado mousse, apple pumpkin porridge with coconut cream and house granola, and chia quinoa and coconut cream with fruit compote and granola. All are made with a coconut based yogurt, meaning they are dairy free! With all their fruit and veg coming from the market across the courtyard, their A2 milk coming from the Grumpy Farmer, and their almond milk from Pure Press, L and P are all about sourcing local ingredients and supporting other small businesses. 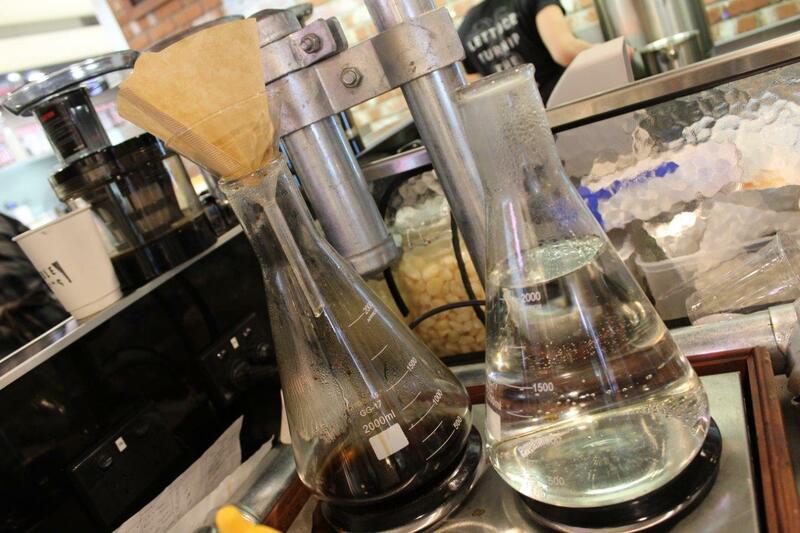 One of their strongest relationships is with Fiebre Coffee. The owner originally from Panama himself moved to Australia 12 years ago, deciding to bring the coffee from the fields where he grew up as a child to Australia. This very pure single origin coffee will be served up in Ladle and Press as a simple hot drip or cold press- which is perfect for the summer months. 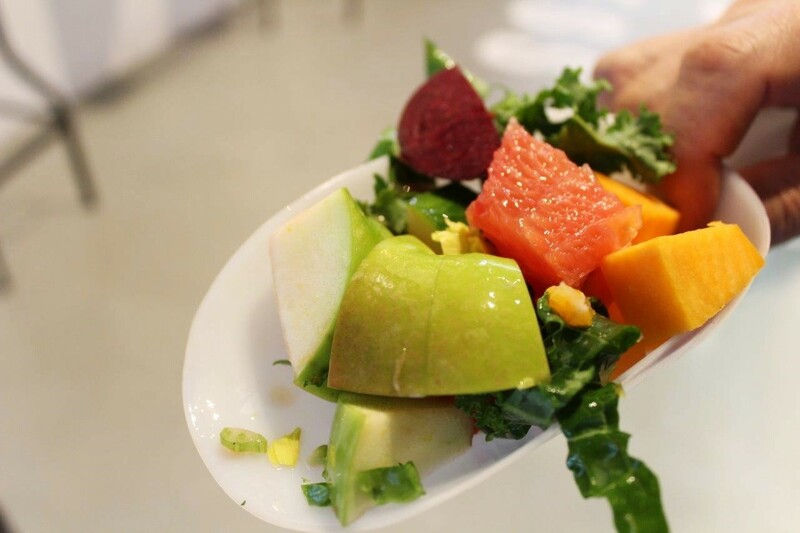 L and P also offer a different approach to the traditional juice cleanse, which Hopper says is drinking six juices a day, until you never want to look at juice again. Although these are extremely good for you, as they give your body a break from proteins and solids while getting heaps of nutrients, they can be expensive and difficult to get through. 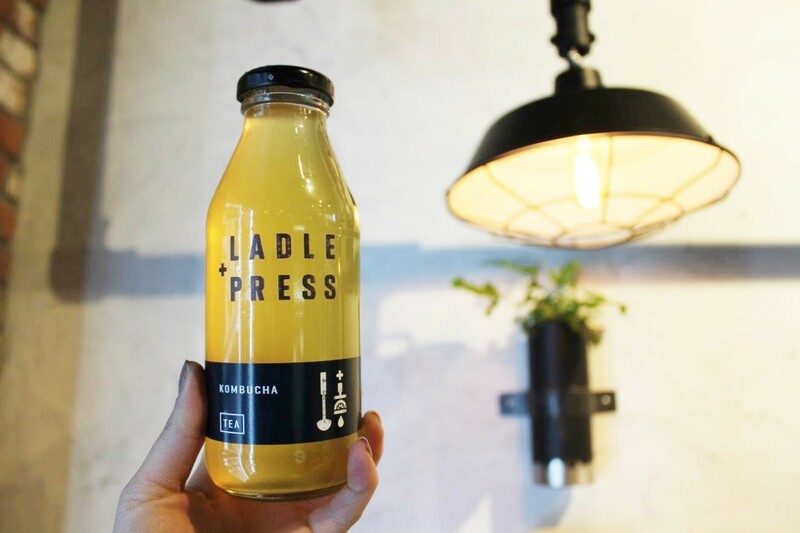 At Ladle and Press, they offer an assortment of juices, kombucha, soups and almond milk for you to mix and match, achieving the same results, but with a range of textures you can enjoy. Rather than locking you into a pack where you have to feel committed, Ladle and Press offer a daily rate so you can choose what you want to do, and for how long. With a daily rate of only around $45 dollars, it is a much cheaper alternative to other detox companies who sometimes charge up to $240 for a three day cleanse. 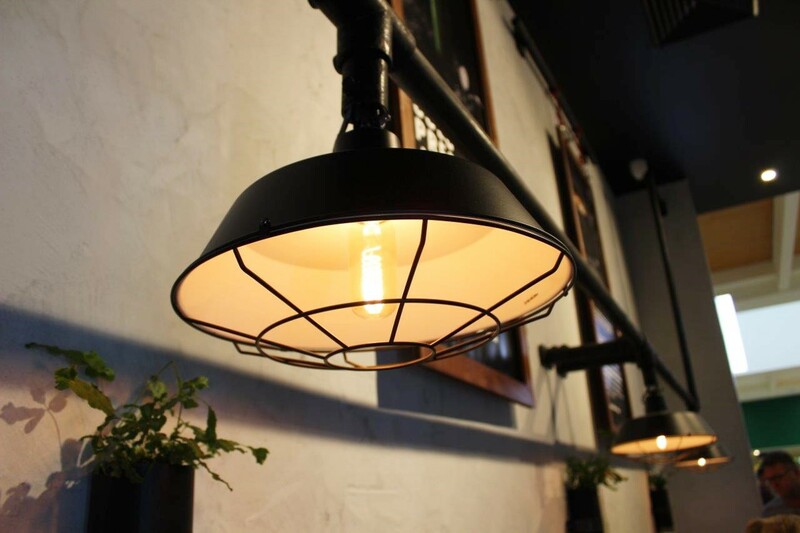 With great aesthetics, fantastic smells, delicious food and superb customer service, Hopper hopes to create an inviting and warm experience for his customers that satisfy all of their senses. 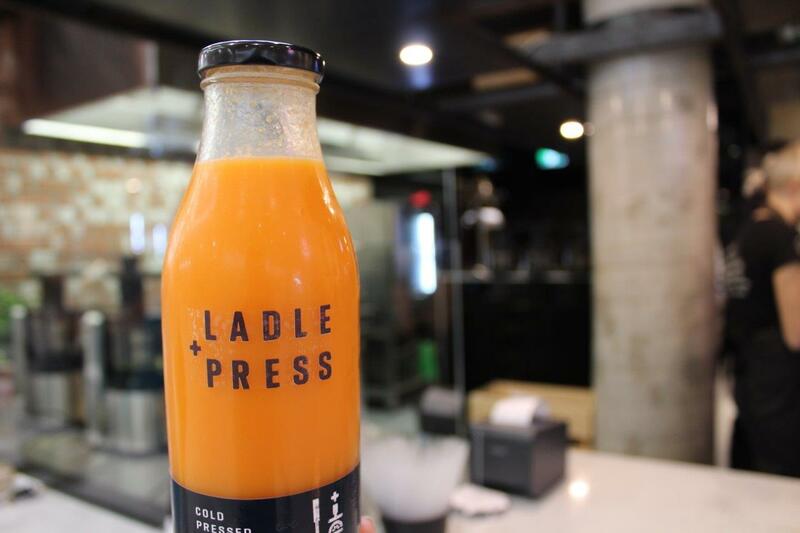 Hopper says Ladle and Press is more than just juice, but about looking after yourself. He believes prevention is better than a cure, and that putting the right stuff in your body will lead to a longer, happier life. Opening early from 7.30am and late until 7pm on weekdays, it’s the perfect place for your pre and post work snacks and coffee stops. On Saturdays they operate between 7.30am to 5pm and 10am to 5pm on Sundays. Find them located at shop 232, Westfield Whitfords City across from Woolworths. Check them out on their website, Facebook or Instagram for more info.